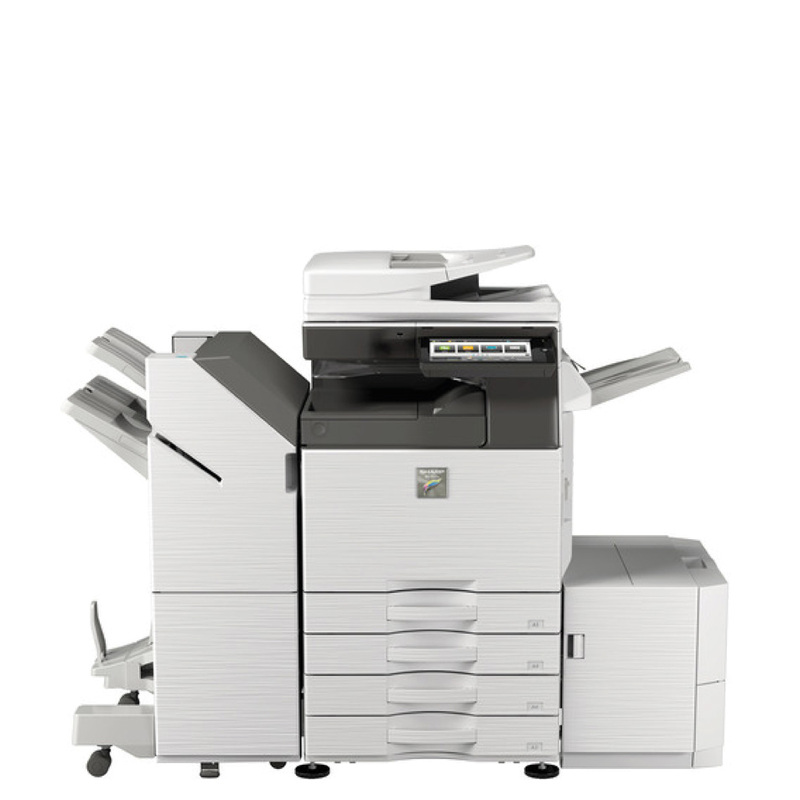 Konica Minolta C458 Photocopier / Develop Ineo+ 458 Photocopier - Photocopiers for sale and to lease from UK Photocopiers Direct : Sharp UTAX Toshiba ALL Models. Contact us now for best prices and service. The Develop Ineo+ 458 Photocopier offer you a solutions that adapt to your daily working habits and save a lot of time in routine tasks like printing, scanning or copying. Develop Ineo+ 458 Photocopier – Every industry faces different challenges. Every business has different needs and yours is no exception. At Develop we are focused on meeting your specific document production and management demands – no matter whether you’re a start-up, small business or mid-sized company. We do this by providing multifunctional devices that can be customised to your specific requirements. The Develop Ineo+ 458 Photocopier offer you solutions that adapt to your daily working habits and save a lot of time in routine tasks like printing, scanning or copying. You can customise the individual screen features, specific functions and workflows to be activated via your device’s display. Frequently used functions can be placed on your start screen while functions you don’t use can simply be removed. You can now make your Develop Ineo+ 458 Photocopier a true part of your business. Start with your own company logo, display a Flash video when the display is idle, customise your user interface on the screen, and have your business relevant apps accessed straight from the operating panel. More and more businesses are transforming their into mobile workplaces. Employees enjoy the flexibility of working where they want, yet still need to stay connected. Develop makes printing from a mobile device even easier and more intuitive than from a PC. You don’t even need to download external apps or install a specific printer driver – our mobile features integrate seamlessly with innovative mobile technologies to let you print from your tablet or smartphone with just one click. Our security functionality ensures your data are safe, and on most devices, access to safety features like secure print, user authentication and account tracking comes with the free app ineoPRINT.